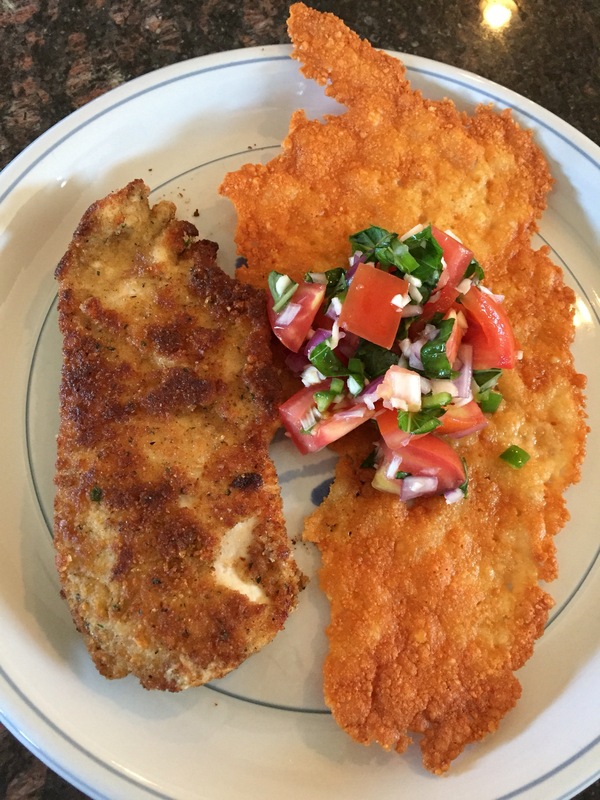 Italian Chicken with Tomato Basil Salsa | What's To Eat Today? Heat a non-stick skillet on medium high heat. Spread mayonnaise onto each side of the chicken. Some folks use buttermilk. I’ve found that mayonnaise keeps the chicken really nice and moist and tender. I almost never have buttermilk on hand but always have mayo handy. 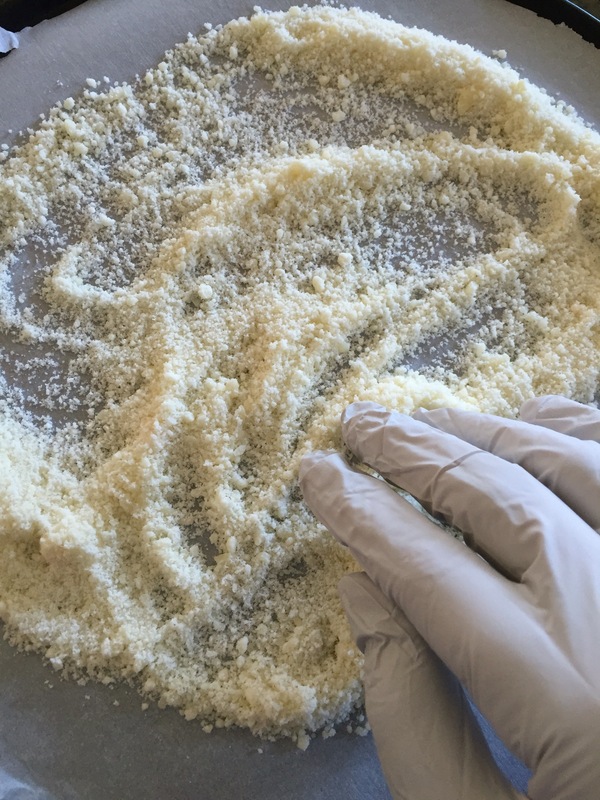 Pour the Progresso Italian bread crumbs into a plastic bag. Add salt and pepper to taste into the bag. When the skillet is nice and hot, add one piece of chicken to the bag of bread crumbs and shake it up to coat well. Remove the chicken from the bag making sure to shake the excess coating off. Place the chicken breast into the skillet. Repeat the breading process with the second piece of chicken. Cook on each side for 4 minutes or until golden and cooked through. Combine the ingredients in a bowl and mix well. Chill for half an hour (and up to 3 hours). Preheat oven to 375° F. Line a baking sheet (I used a pizza pan) with parchment paper and spread a thin layer of cheese. Bake for 7 or 8 minutes or until golden. Remove from oven and slide the parchment paper with cheese onto a wire rack to cool.